Corsec would like to congratulate our partner, IBM, on completing the certification process for the Department of Defense Information Network Approved Products List (DoDIN APL) as a Cybersecurity Tool (CST). To achieve this milestone, IBM partnered with Corsec, which helped guide them through the intricacies of stringent Information Assurance (IA) and Interoperability (IO) requirements; including STIG testing, CAC compliance, and conformance to IPv6. To learn more about the product and documentation, see their full listing here. The DoDIN APL represents the agency’s master list of secure, trusted and approved technology infrastructure products. 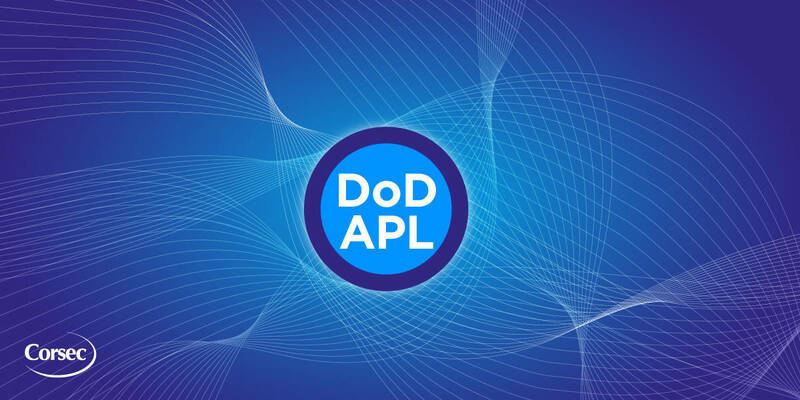 The DoDIN APL was developed in an effort to maintain a single consolidated list of products that have completed Interoperability (IO) and Information Assurance (IA) certification. Getting a product included on this coveted list involves a rigorous 39-step process overseen by the Approved Products Certification Office (APCO). This laborious and often confusing process involves the submission of a series of properly completed forms and product documentation, attainment of prerequisite validations and certifications such as FIPS 140-2, Common Criteria, and adherence to strict scheduling guidelines and interdependencies. IBM® QRadar® is designed to collect logs, events, network flows and user behavior across your entire enterprise, correlates that against threat intelligence and vulnerability data to detect known threats, and applies advanced analytics to identify anomalies that may signal unknown threats. The solution then uniquely connects the end-to-end chain of activity associated with a single potential incident, and provides prioritized alerts based on severity, helping quickly uncover critical threats while reducing false positives.